Is it the phthalates? The early antibiotic exposure? The low levels of physical activity? Parental tolerance (or ignorance) of how much junk food kids are eating? Each has been attributed in some way to obesity, but regardless of the impact of each of these individual components, the World Health Organization Commission on Ending Childhood Obesity’s recently released report documented that obesity is a problem around the world. 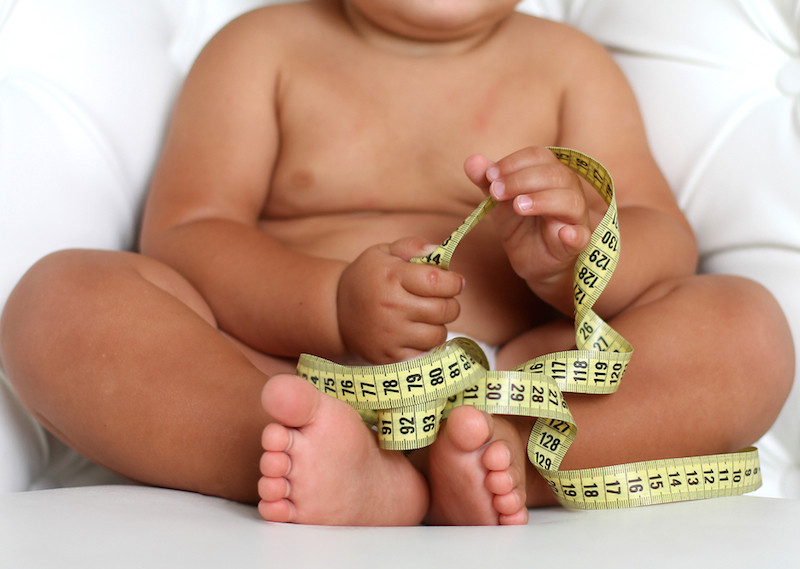 A staggering 41 million children were overweight or obese as of 2014. Even more sobering? This number records children under the age of five, so it doesn’t include the millions more children and young adults between the ages of five and eighteen who are also obese and overweight. The report also turns the notion of obesity being a first-world health disease based on overindulgence on its head: nearly half of the 41 million obese or overweight children reside in Asia and another quarter of these children live in Africa. Interestingly, while the report considers a decline in physical activity and the availability of junk food and soda as major factors in the growing obesity rates, they also attribute the global problem to an “obesogenic environment” that promotes weight gain and obesity and that can even have an impact on a child before birth. Accordingly, the Commission has outlined a multi-pronged approach to ending childhood obesity, which includes pregnancy and preconception education, programs that promote healthy foods and reduce junk foods, guidance in early childhood for diet and lifestyle, healthy food and activity standards in schools (including curriculum integration), and providing family-based services for children who are obese. Is it the phthalates? The early antibiotic exposure? The low levels of physical activity? Parental tolerance (or ignorance) of how much junk food kids are eating? Each has been attributed in some way to obesity, but regardless of the impact of each of these individual components, the World Health Organization Commission on Ending Childhood Obesity's recently released report documented that obesity is a problem around the world. A staggering 41 million children�were overweight or obese as of 2014. Even more sobering? This number records children under the age of five, so it doesn't include the millions more children and young adults between the ages of five and eighteen who are also obese and overweight. The report also turns the notion of obesity being a first-world health disease based on overindulgence on its head: nearly half of the 41 million obese or overweight children reside in Asia and another quarter of these children live in Africa.�Interestingly, while the report considers�a decline in physical activity and the availability of junk food and soda as major factors in the growing obesity rates, they also attribute the global problem to an "obesogenic environment" that promotes weight gain and obesity and that can even have an impact on a child before birth. Accordingly, the Commission has outlined a multi-pronged approach to ending childhood obesity, which includes pregnancy and preconception education, programs that promote healthy foods and reduce junk foods, guidance in early childhood for diet and lifestyle, healthy food and activity standards in schools (including curriculum integration), and providing family-based services for children who are obese.